One of the most important things to my fiancé and I while traveling is access to healthy and fresh living foods. When we’re traveling from one country to the next, I do a ton of research to find the best reviewed and cleanest restaurants in the area I’m visiting. I never considered myself a ‘foodie’ until recently, when I realized how much energy I put into this and how it fills me with joy! With Patrick just beginning his journey with veganism, I get excited to show him just how amazing plant based foods can be. The quote that comes to mind is “you are what you eat”, so I always strive to eat the best of the best. Shelter Cafe (@shelterseminyak) in Bali falls right into that category. I first heard about them on Instagram and I caught myself drooling over there feed. After doing more research, I knew the hype was real. 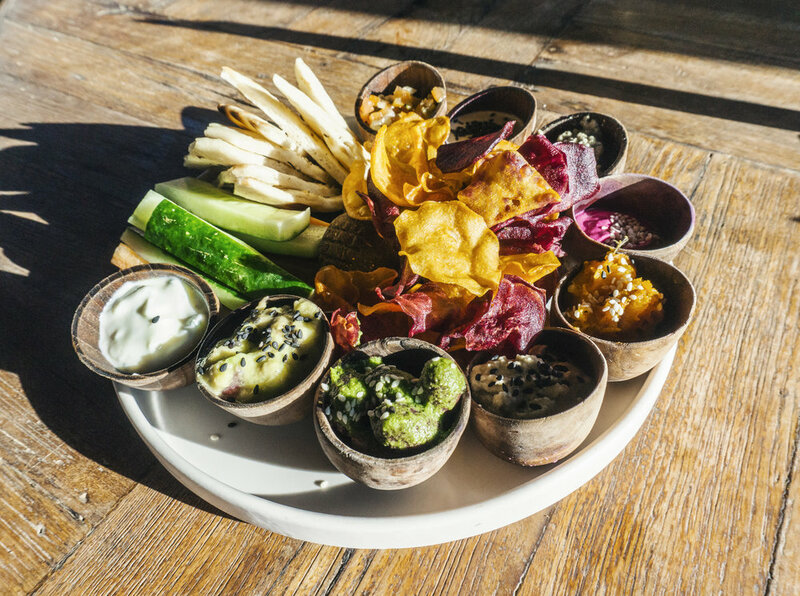 Not only do the good folks at Shelter make all of their own dipping sauces, almond/coconut/cashew milks and deserts in house, but they also cater to gluten free, dairy free, vegetarian and vegan lifestyles. We couldn’t wait to visit them when we got to Seminyak! 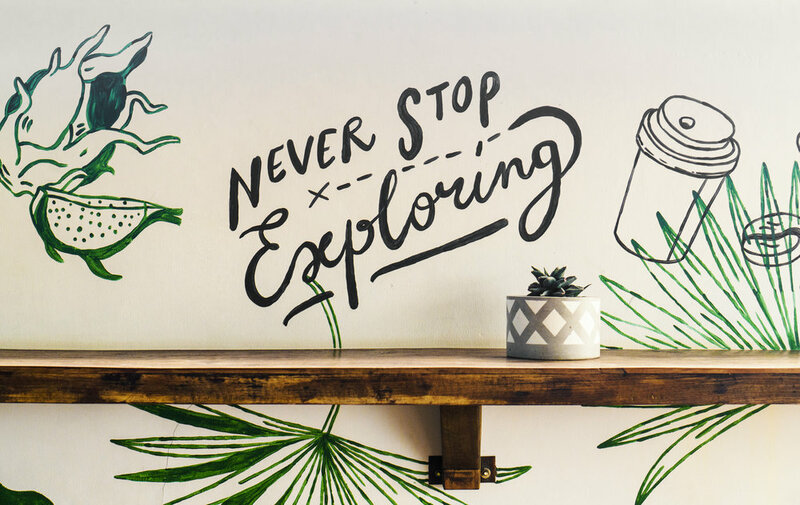 When you reach the top of the stairs of the cafe, it feels like you’ve entered a huge tree house made with bamboo, filled with lush greenery and plants hanging from the ceiling. Bob Marley and The Mighty Diamonds playing on the sound system made us feel right at home. We started our meal with an elixer called Bright Eyes. A refreshing mix of watermelon, mint and lime. Next up, was the cauliflower fries served with the yummiest basil lemon dressing. The breaded cauliflower was fried to perfection, definitely a must try item on the menu. When we saw the waffle being brought out, both of our jaws dropped to the floor. Covered with mixed berries, mini Oreos, crushed almonds and whipped blueberry coconut cream, you won’t believe this waffle is 100% plant based. It’s perfectly sweet, not overbearing or too much at all. Patrick’s favorite dish was a platter called Shades of Shelter. 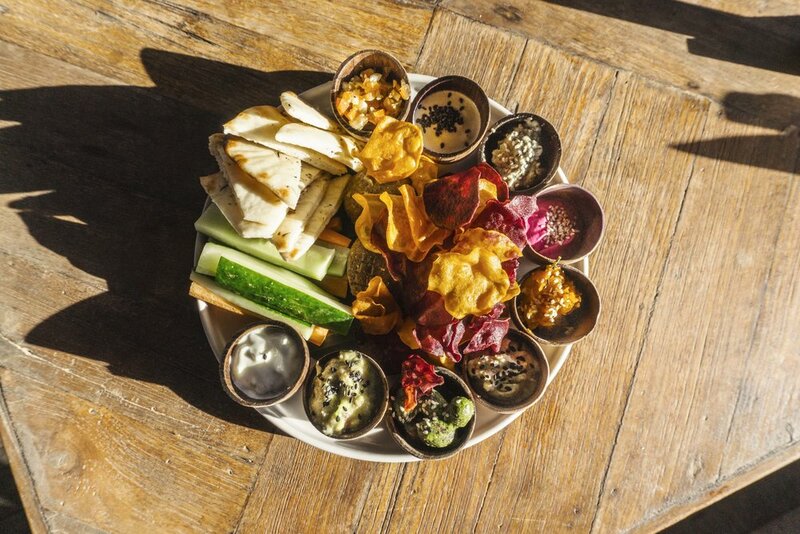 Enough for two to share, this platter was filled with falafels, pita bread, veggies and a plethora of spreads. His top three dips were their home made salsa, beetroot feta whip and tahini. Now time for my absolute favorite dish we tried, the Soul Fuel Bowl. 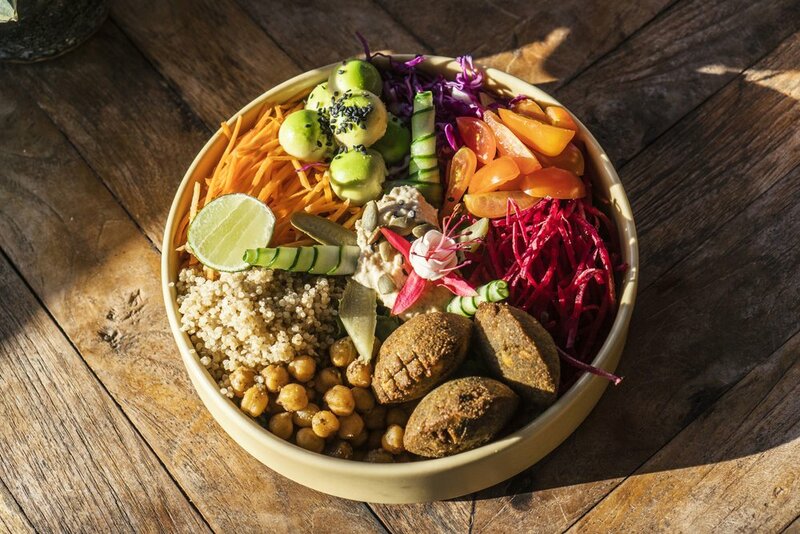 Full of nourishing veggies, grains and legumes, including: quinoa, carrots, chickpeas, avocado, falafel and more. Topped with three house made dressings, this bowl is every vegans dream and is a great bang for your buck, leaving you full and ready for your busy day ahead. 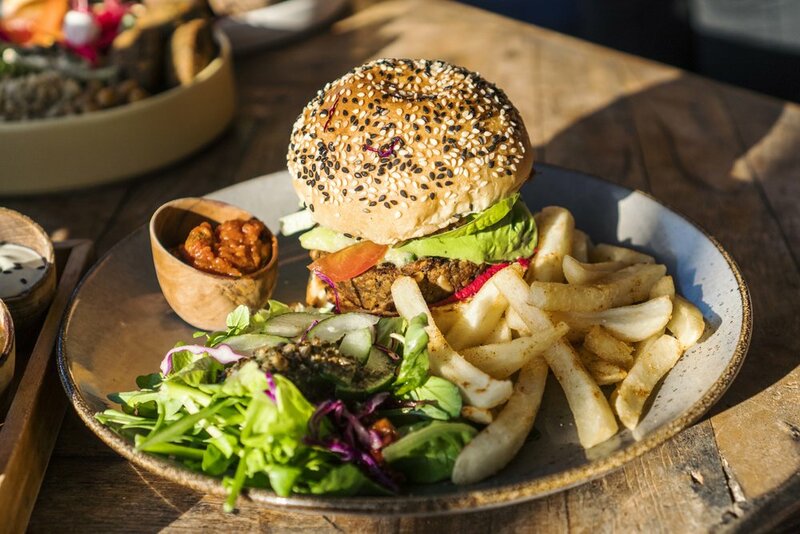 Other notable items are the Veg-Ooo burger, which is topped with a unique beetroot hummus, served with crunchy fries and house made ketchup. 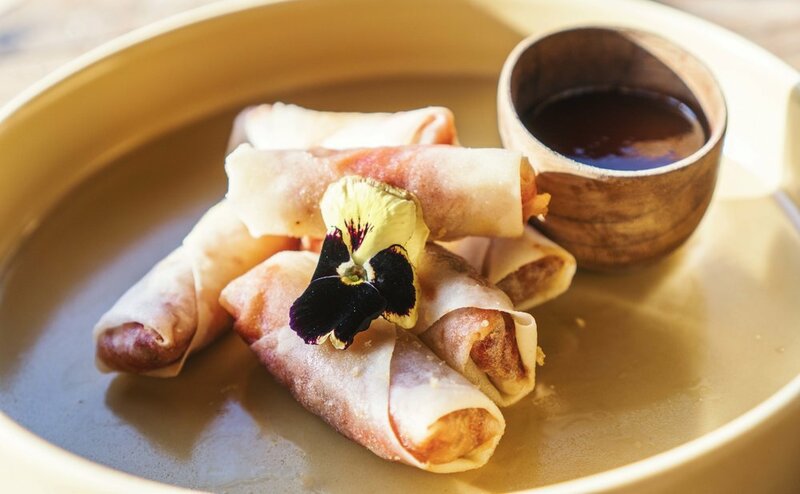 The house made spring rolls are incredibly fresh and filled with sprouts, carrots and beets. If you love spring rolls like us, definitely grab this appetizer. Last but not least was dessert, and I had been looking forward to this since before we even arrived. 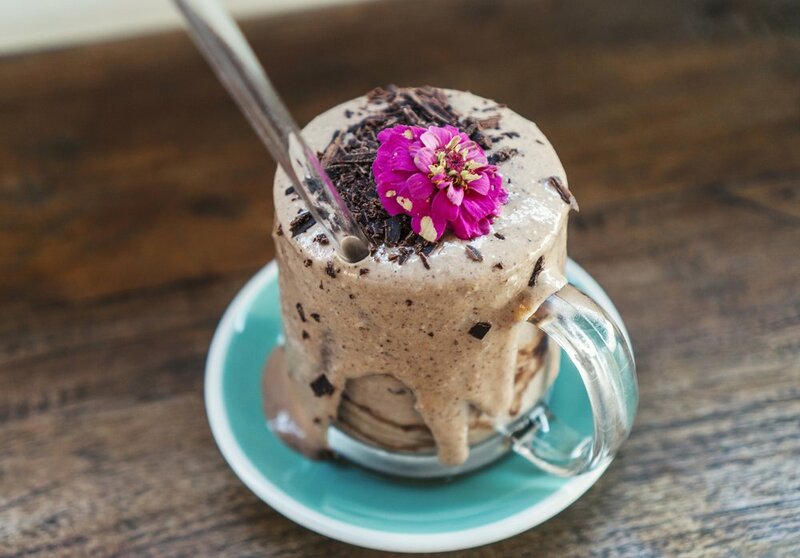 The vegan Nutella milkshake had been calling my name for days from the photos online. I mean, doesn’t everybody choose what they’re going to have for dessert days in advance? Anyways, this magical concoction of homemade hazelnut butter, melted vegan dark chocolate, soaked oats and dates was better in real life than my dreams. 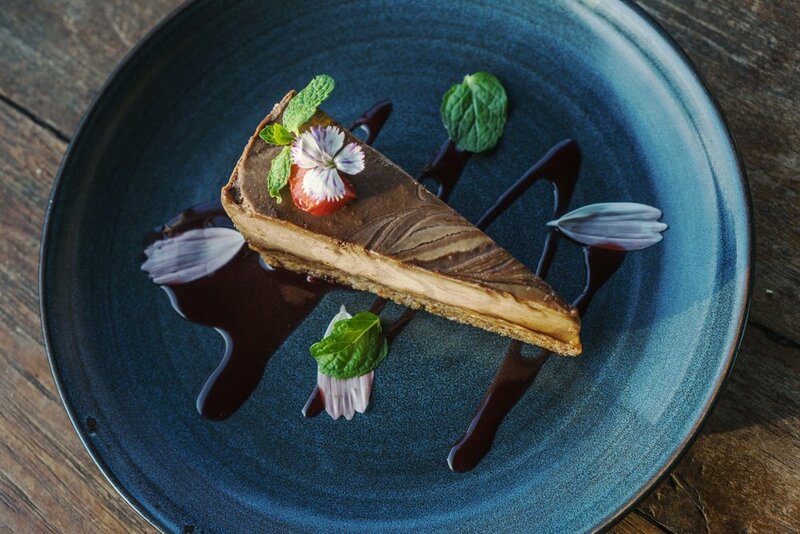 We also had a slice of the snickers cheesecake, which is dairy free and somehow tastes scarily close to a snickers bar. Were not sure what kind of magic goes on in that kitchen, but we’re impressed. Not only was the food to die for, but the service was great and everyone working in the establishment were so kind.